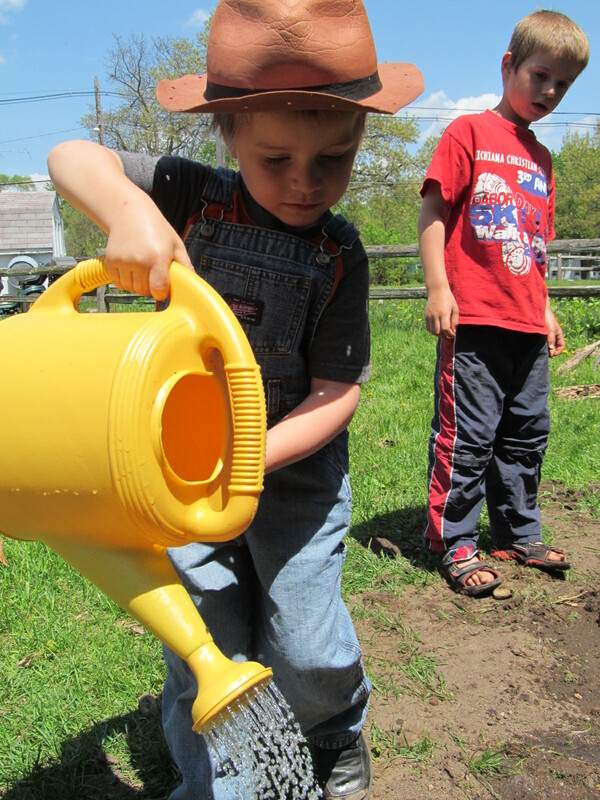 Earlier this summer, we planted sunflower seeds together. 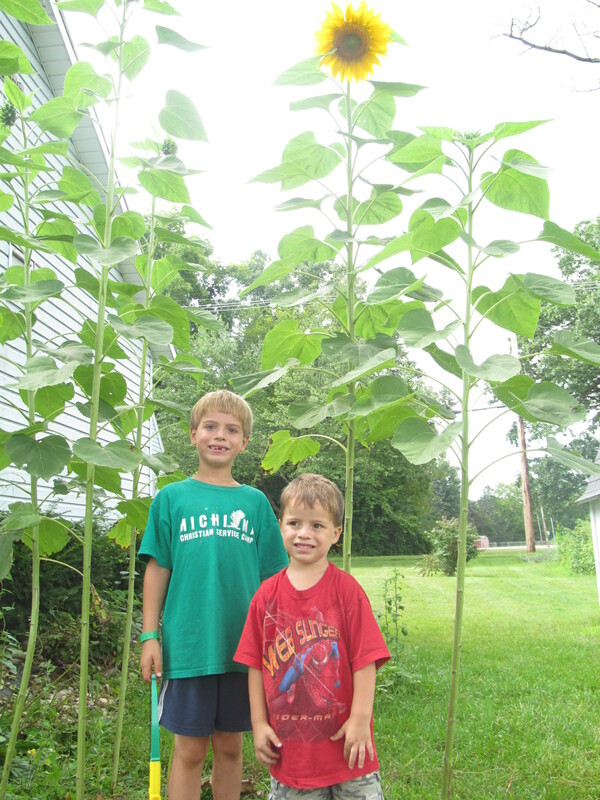 The package said that the seeds would grow to be 12 feet tall. It was difficult for you to understand what 12 feet tall meant, and you were skeptical when I told you that the flowers would grow to be taller than your dad. Flowers taller than dad . . . unbelievable! At first, it was hard for you to wait for the seeds to grow. Every day, you were out there, watching to see if anything green would push through the ground. Together, you watered the seeds and then waited. Finally, a little green bud pushed through the ground. You were so excited the day you came to tell me that the sunflowers were growing. But they still didn’t grow fast enough for you. More of the summer passed, and at times you almost forgot about them. I had to remind you to water them so that they wouldn’t die. Several times, we had to go out together and pull the weeds that were threatening the flowers. It took a long, long time, but finally, this past week, you got your reward. 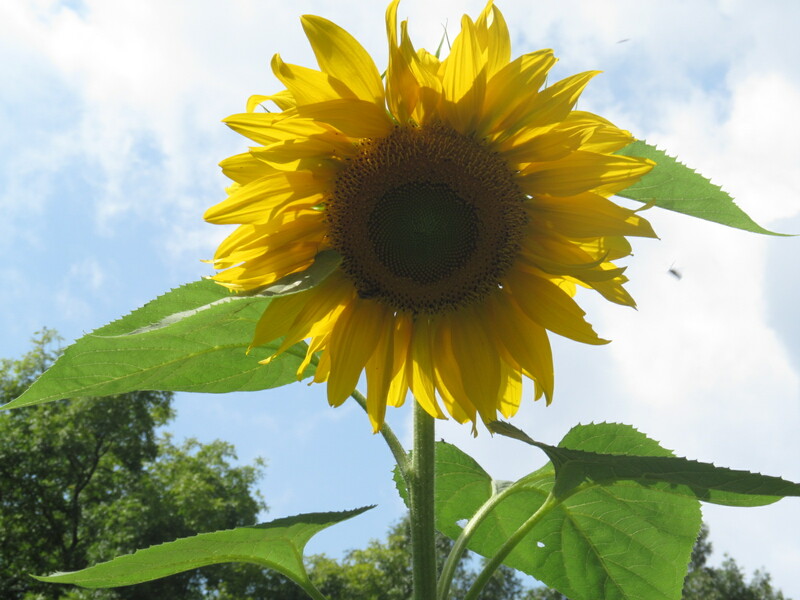 There, on the top of a twelve foot stem was a huge sunflower! 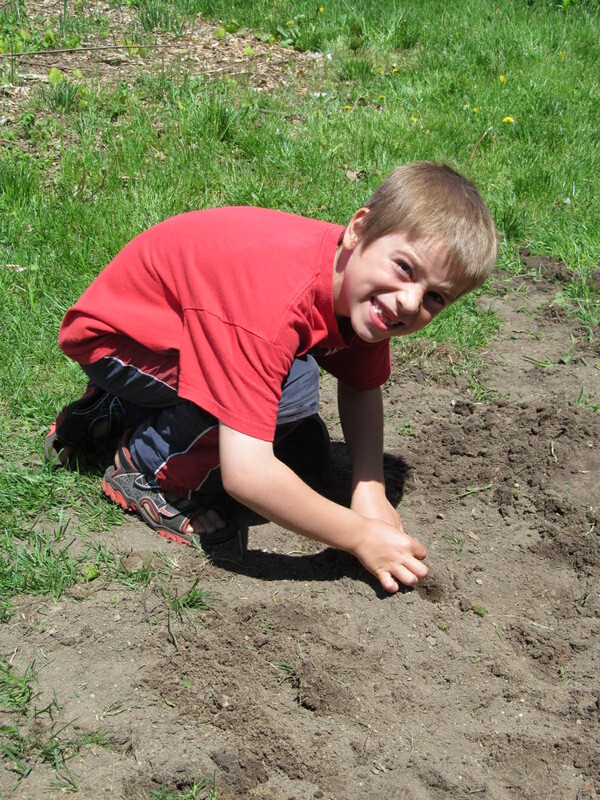 Your hard work paid off – you had the beginnings of your sunflower patch. When you boys were born, your father and I made a commitment that we would raise you in the ways of the Lord. Our desire for you is that you grow into men who stand tall for Jesus . . . much like the sunflowers in your patch. In order for that to happen, though, we have to make decisions that might not always be popular with you or your friends. We have to make decisions that might not always be popular with the world. But we will make those decisions because you are more important to us than what your friends or the world may say. Your eternity is more important to us than our temporary popularity. Therefore, we planted those seeds of faith early. All of you boys have been in church since you were itty bitty babies. I know at times you wish you could stay home, but we will keep taking you to church as long as you are in our household . . . not because of what others may say or because it is church that saves you. No, it is Jesus alone who saves you, and no amount of church attendance will ever be enough to take care of that debt. We take you to church every week because we want you to experience Christianity in a church community. We want you to learn that, even though the church is full of imperfect people, every person in the church is important and that includes you. We want you to learn that you can serve Jesus in a community of believers using the talents God has given you. We want you to learn to appreciate other people’s preferences for worship, to learn to get along with people for a common purpose, and to learn to reach out into your community with the gospel of Jesus Christ. And, we want other people to have an opportunity to water the seeds that we planted long ago. Of course, church alone will not be enough to make your seeds grow. That is why we will teach you how to have a daily time alone with Jesus. Right now, that time is with us. 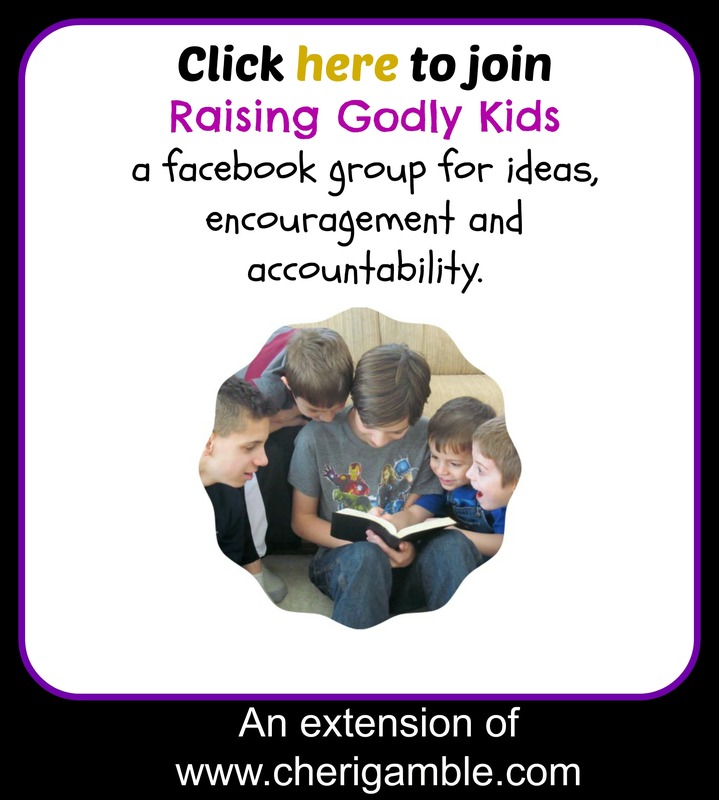 We will read you Bible stories and help you pray. But, as you grow, we will show you how to have a time alone with God. We will encourage you and hold you accountable in your relationship with Jesus. And we need you to hold us accountable, too. If you see us skipping out on our time alone with Jesus, challenge us! After all, we are still growing, too. As you grow, there will be times when we need to help you pull the weeds that surround you. This may be very unpopular with you at the time, but, as I said earlier, your eternity is more important to us than our temporary popularity. This is why we will set limits on your television viewing. This is why we will never let you have a television or computer in your bedroom and why we will not let you play certain video games or attend certain movies. This is why we will monitor the music you listen to, the websites you browse, and the movies you watch. We are not trying to limit your independence . . . we are simply trying to help you keep those weeds from choking and devouring you. The world is a dangerous, scary place and it is our job to help you navigate through this dangerous, scary place, learning how to discern what is true and right and pure and helping you get rid of those items that are not. This is also why we will be careful about what we watch on tv, what we browse on the internet, and what we listen to on the radio. Please, when you grow, if you see us watching and listening to things that would hinder our spiritual growth, challenge us with that. After all, even though we are much older than you, we are still growing spiritually, too, and we don’t want those weeds to destroy us, either. Earlier today, I went out and looked at those flowers in your sunflower patch. They stood at least twelve feet tall, stretching up into the heavens, as if in praise to the Creator. I pray that someday, you, too, will stand tall for Christ. 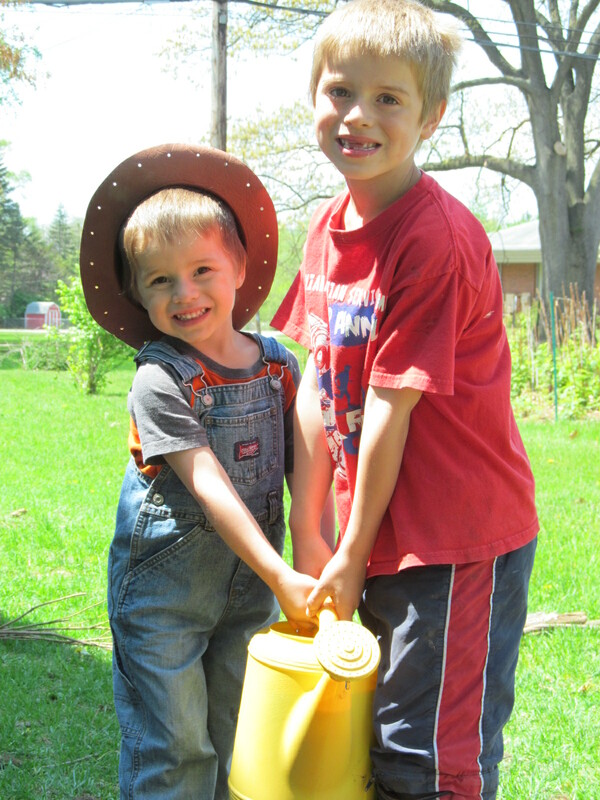 I pray that someday the seeds we have planted and watered in your lives will produce fruit that will point to Jesus. And I pray that someday you, too, will plant seeds all around you . . . spreading your love of Christ to everyone with whom you come in contact. It will be interesting and rewarding to see how many other sunflowers grow in this little patch next summer. It will be even more interesting and rewarding to see how many other Christians grow as a result of your influence in the world. Oh sweetie, I was moved to tears while reading this! How beautiful are your words to your precious children. Thank you for sharing this with the world. I love the way you spoke of the sunflowers reaching high as if in praise to God above and hoping that your children will stand tall doing the same. What a blessing this was to my heart reading through this. Next Next post: My Child Has Been Diagnosed With Dyslexia, Now What?? ?